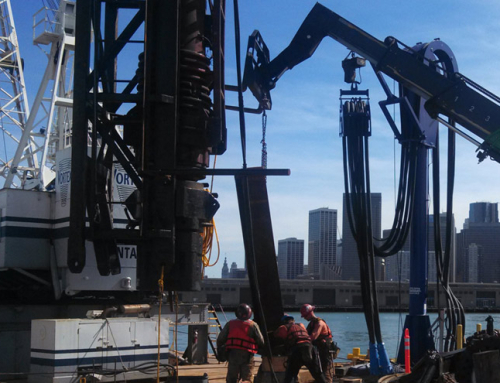 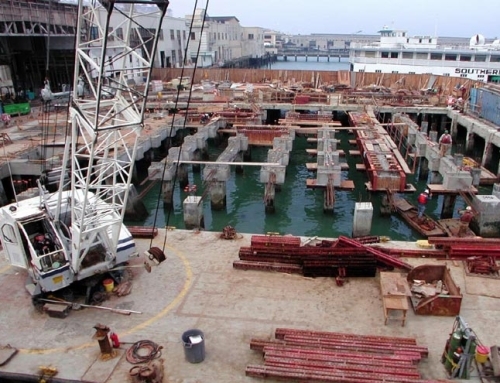 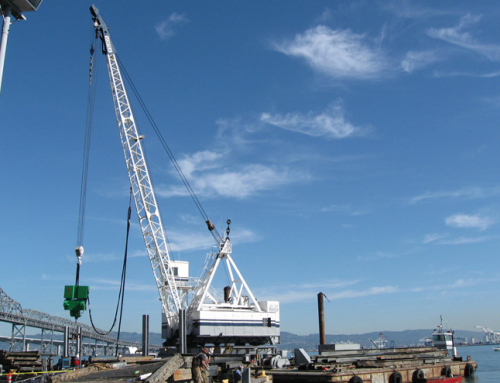 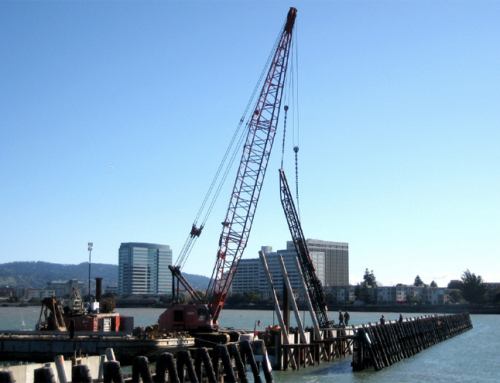 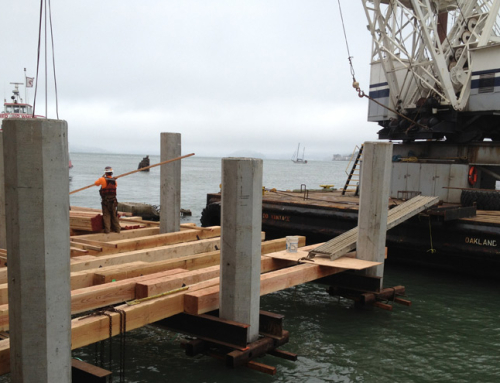 China Basin Ferry Terminal – Vortex Marine Construction, Inc.
Vortex was the prime contractor on this design-built ferry terminal, in the heart of the San Francisco Bay, located at Pac Bell Ballpark. 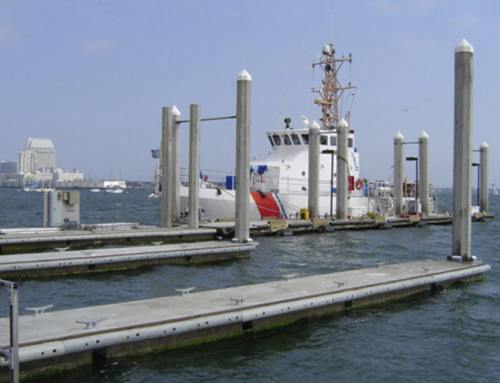 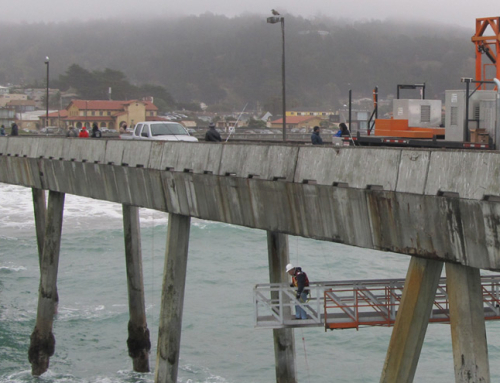 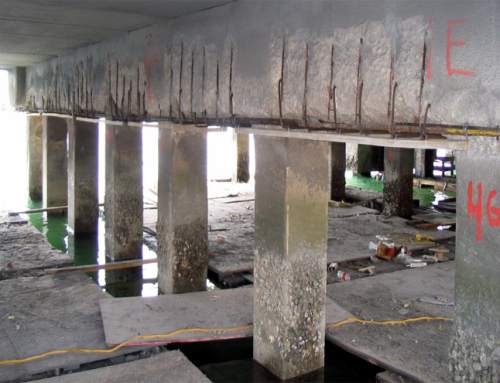 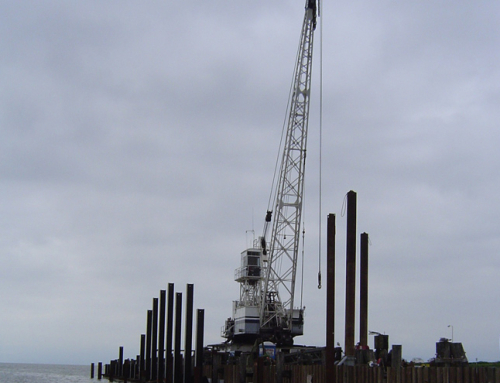 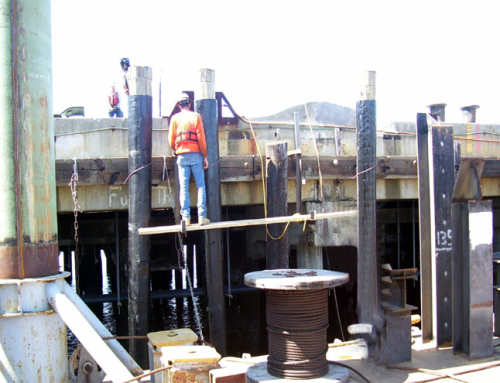 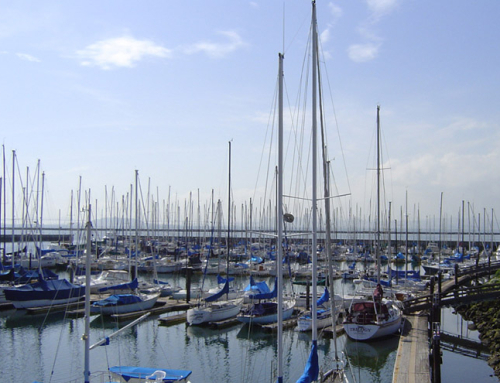 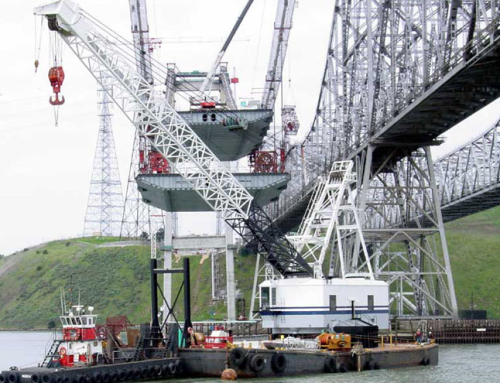 The project included design and construction of two steel terminal floats with hydraulic ramps systems and utilities, a structural concrete terminal pier, steel access gangways, and a distinctive entrance gateway. 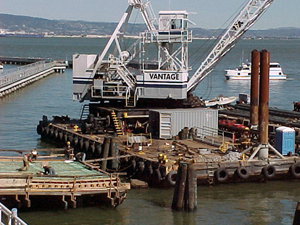 The two steel terminal floats and gangways were designed, fabricated, and launched in West Sacramento by a subcontractor that was later acquired by Vortex. 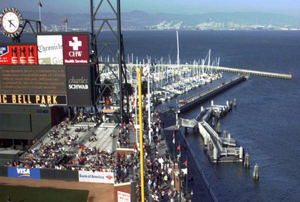 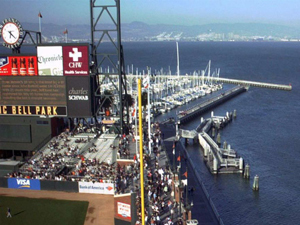 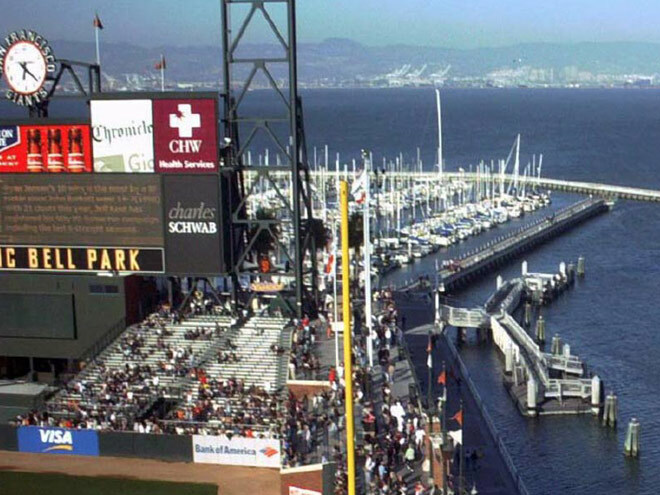 This challenging project was accelerated though a separate contract with the San Francisco Giants in order to be operational for the opening day game of the new ballpark. 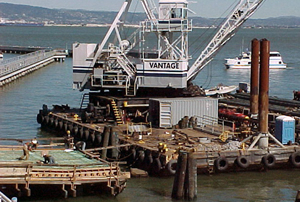 See China Basin Ferry Terminal.